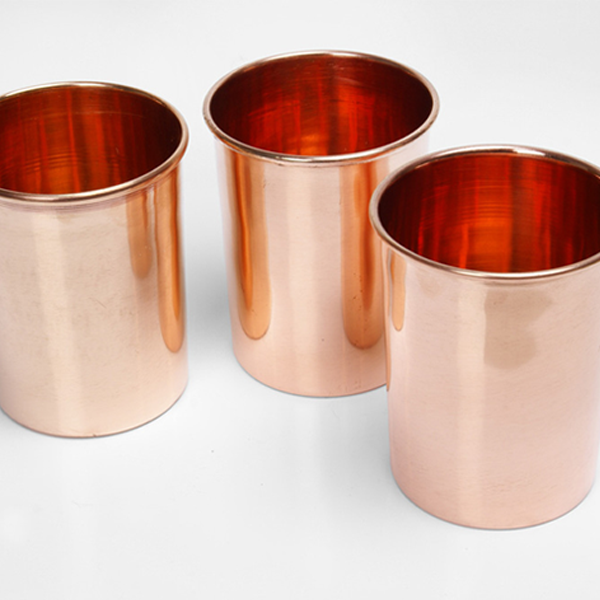 In any traditional Indian household, you may find copper drinking cups and also water stored in a copper vessel. According to Ayurvedic principles, there are numerous health benefits to storing water and drinking water in this way. It is said to have a general purifying effect on the physiology, aid digestion, have a balancing influence on Pitta dosha and it never becomes stale. Many people who first worry that the water might taste “metallic” are soon impressed by the crisp and clean taste that copper seems to impart to the water it holds. This simple and beneficial relationship between human health and the basic elements of nature is a good example of Ayurveda at work, and it is one of many examples where modern science is slowly catching up to ancient wisdom. So, try using a copper vessel regularly for your drinking water, and you may find it to your liking. Many metals including copper and silver have antimicrobial effects. These properties of copper and silver have been made use of for hundreds of years (Wiki). 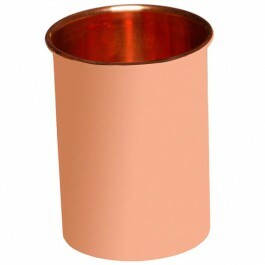 Modern research has shown that copper has useful antibacterial and antiviral effects. Even dry copper surfaces such as door handles can destroy even antibiotic-resistant bacteria or "super-germs" such as MRSA. (Southampton). Copper is an essential micronutrient that is important in many aspects of the physiology. Whole grains, beans and lentils, nuts and seeds, potatoes, avocados, and raisins are good sources of copper and deficiencies are rare in developed countries. Although metallic copper is insoluble it is said that leaching of minute quantities from copper water pipes does contribute to dietary requirements. Use of copper cups may also contribute in this way. 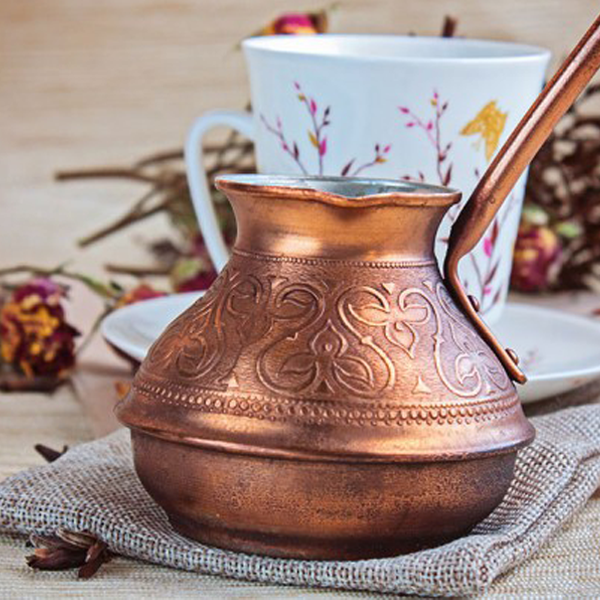 In Ayurveda drinking water that has been stored in a copper vessel is particularly highly regarded because it tastes good and is said to have a purifying effect on the whole physiology, as well as having a specific balancing influence on Pitta dosha. Rinse the cup before first use. Copper tarnishes in moist conditions. This probably reduces the speed with which it has its beneficial effect on water. Therefore, removing the tarnish from time to time is recommended. The tarnish may be removed by weak acid such as lemon juice and/or by scouring. Fill the cup with cold water in the evening and leave it overnight. First thing in the morning after brushing the teeth and scraping the tongue sip the water slowly.